Bluemanor Windows are a quality supplier and installer of the finest double glazing. However we understand that many of our customers will come to us with single glazing already installed within their home. It doesn’t always make sense to totally remove the existing frame just to replace it with a similar one, and that’s why we offer our Smart secondary glazing service. In such a case, we simply add a new layer of glass to your current windowpane, affording it all of the positive characteristics of modern double glazing. We offer our incredible services to customers within Braintree, Bishops Stortford, Chelmsford, Colchester, and Essex as well as the surrounding areas. A recognised name within the industry for over 20 years, our dedication to quality has earned us a reputation for efficient installations and high-quality products. 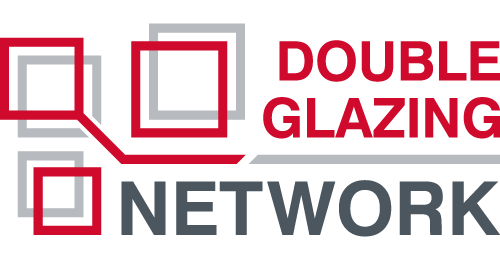 Our status as an accredited installer within the Double Glazing Network is a testament to our skillset. Similarly, we are a proud member of the Essex Trading Standards ‘Buy with Confidence’ scheme. If your home consists primarily of single glazing, then it can be easy to see why you may not come to expect heat retention from your windows and doors. However this is considered one of the major benefits of double glazing, hence why this fantastic product has become the natural choice for contemporary buildings. Duplicating this is no excessive task however, with the advent of secondary glazing simplifying the process for single glazing owners. Intricate vacuum-sealing technology is the key to warmer homes in modern window development, keeping your property warm naturally by trapping heat within. Considered an ‘ideal solution’ by the Energy Saving Trust for those that are unable to replace existing double glazing completely, these brilliant products drastically reduce your reliance on central heating. Secondary glazing can therefore help you to reduce your heating bills by around 10%. The strengthened nature of double glazing also sets it apart from single glass panes in terms of security, and our secondary glazing emulates this precisely. By adding a second layer of glass to your window along with a light-weight aluminium profile, you are reinforcing the impact-resistance, of your product. Furthermore, since they are designed in compliance with existing building regulations these products are well-suited for listed buildings. We also offer the ability to customise your secondary glazing to your exact specifications depending on the window design you are aiming for. You can select the glass that suits your requirements, from toughened glass that is built to protect from unwanted persons to laminated options that offer incredible noise-reduction. Let our team know exactly what is important to you, and we’d be more than happy to accommodate your request! A common feature of modern double glazing is the ability of the product to retain heat within your property. If your old single glazing doesn’t offer this then fret not! Secondary glazing can bring this benefit to your existing windows. Double glazing is also notably stronger than single windowpanes. Our secondary glazing offers the perfect way to emulate this strength without replacing the entire product. A second layer of glass reinforces the impact-resistance. Secondary glazing is also great for improving the lifespan of your windows. Designed with the latest in anti-damp and anti-rot technology, these openings are far superior to single panes when it comes to resisting adverse weather conditions. Our secondary glazing products are second-to-none, and we guarantee you a market-leading service every time. With Bluemanor Windows you can bless your traditional or heritage home with all of the contemporary benefits of modern double glazing. Thermal efficiency, high security, noise insulation and durable designs can be yours, so contact our team today. We offer a number of ways for you to reach out to us, and no matter which option you choose we will respond to your query as soon as possible. You can call our specialists on 01376 322 266 to speak to someone immediately, and they will happily answer any questions you have. You can also fill out our online contact form if you would prefer to write. Finally, we also offer an option for clients right here on our website. Produced specifically for online customers, our quotation tool offers an easy way to get a bespoke price. It’s simple to use and provides you with a personalised quotation immediately. This is by far the fastest way to get a price from our team, so try it out today and begin your project.